Hi Ladies! Anybody who knows me, knows that I am a huge lover of Benefit and always have been, they were my first ever beauty buy and I've yet to use one of their products and not instantly fall in love. I've actually had this eye shadow for a while but being the bad blogger that I am, I completely forgot to blog about it! I attended the Benefit 'Stay Flawless' event in London's Ice Bar earlier this year and as part of the event, we were given the opportunity to answer questions to win prizes. I actually got the answer wrong but I was still rewarded to taking part and given this cute little eye shadow in 'Kiss Me I'm Tipsy'. Apart from their amazing products, I love the Benefit packaging. It's all so cute and makes my collection look so pretty when I store it away and really makes make-up more enjoyable (if that was possible). Their new collection of eye shadows and lipglosses are all 1920s art deco themed with the blue and green patterned packaging. The actual eye shadow comes in a little plastic container but I like to keep mine in the little box it came in as it's just so pretty and it keeps it from getting messy. It also came with a little book of tips and tricks for using the eye shadow in different ways to create different looks which I think is a nice little extra. 'Kiss Me I'm Tipsy' is a neutral brown shade with tiny specs of gold glitter which make it really pretty to use in a brown smokey eye look. When I go out now I find myself opting for a brown or greeny gold smokey eye look more often than a black/grey look as I think it's much more wearable and doesn't wash out my pale skin, but it also looks great with a tan and really brings out the colour - an all round winner for me! This is a longwear eye shadow but it doesn't actually say how long it's supposed to last so I can't really comment on weather it lives up to what it says but I do find that this lasts slightly longer than a few of my other eye shadows which is also a little bonus as I don't have to keep touching up. 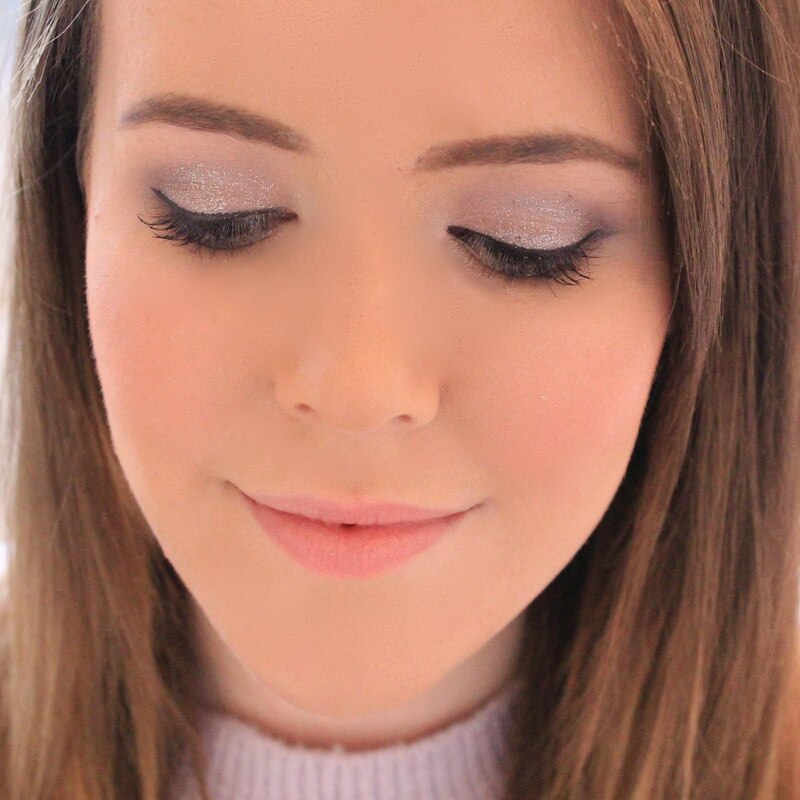 Overall, I love this eye shadow and am definitely thinking of picking up more, next on my list is a cream colour as I'm really into cream eye shadows at the moment. Wow, wow, wow! Kiss Me I'm Tipsy is SUCH a gorgeous shade. So cute! The packaging is absolutely adorable and the eye shadow is gorgeous. I've actually never read much about Benefit eye shadows so I'm glad you posted this as now I definitely want to look into them! I am very tempted to get benefits eye shadows at the moment and this is such a lovely colour. Definitely the shade I'd choose! I bought one of these in a different shade a few months ago but can't bring myself to use it an spoil the cute packaging! I'll just look at it and chicken out of using it, I'm glad you took the plunge - looks fab! I absolutely love benefit so knew this eyeshadow was going to be great before reading your review! Love the shade!